Hard to believe that this is already the 4th cheese of the series. We’re in the home stretch now but there’ll be no sprint to the finish line. No, I’ll continue to go slow so that any who want to jump on this cheesy bandwagon will have plenty of time to do so. If you’re thinking of giving it a go, I’ll repeat what I’ve said in the comments following each cheese post: start with the ricotta cheese recipe. It’s the easiest, there’s less chance for error, and the ricotta is the best you’ve ever tasted. Not only that, but working with ricotta gets you experience with handling curds, a must when making cheese. So, get yourself a couple quarts of whole milk, some white vinegar, and make a batch of ricotta. Once you do, you’ll realize that none of the cheeses I’ve covered thus far are at all difficult to prepare. Those who have followed this series may notice the similarities between today’s recipe and that of my ricotta. 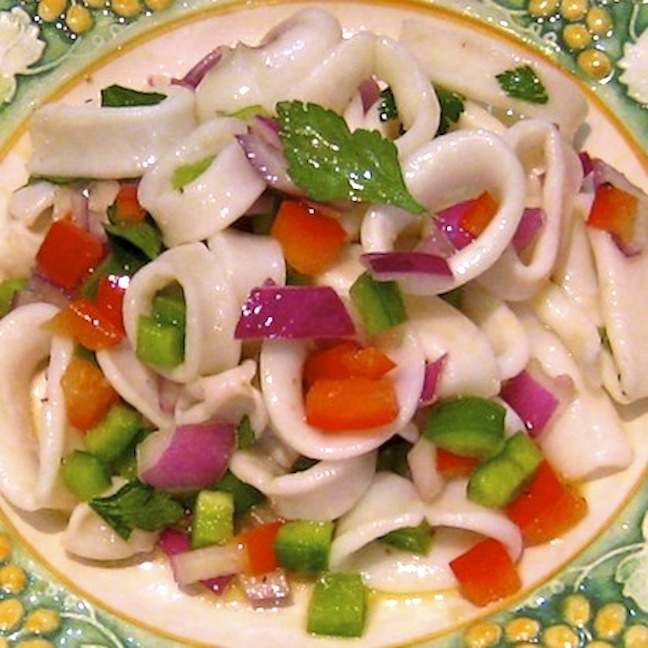 The main difference between the 2 recipes is the amount of milk fat in the dairy products used. In the case of ricotta, warmed whole milk separates into ricotta & whey with the addition of white vinegar. To make mascarpone, combine equal amounts of heavy cream with half-and-half, warm, and use lemon juice to separate the mascarpone from the whey. In both instances, the curds are strained and the resulting cheeses are ready for use in your favorite recipes. Yes, it is that simple and those of you have made the ricotta know exactly what I mean. Best of all, it is far cheaper to make mascarpone at home than it is to purchase it from your grocer. For example, the dairy products I used cost about $4.50 and resulted in 16 oz. of cheese. An 8 oz. container of mascarpone costs about $7.00 at the same store. Needless to say, since coming across this recipe on the Fankenhauser Cheese Page, I’ve not bought a bit of mascarpone from any store. 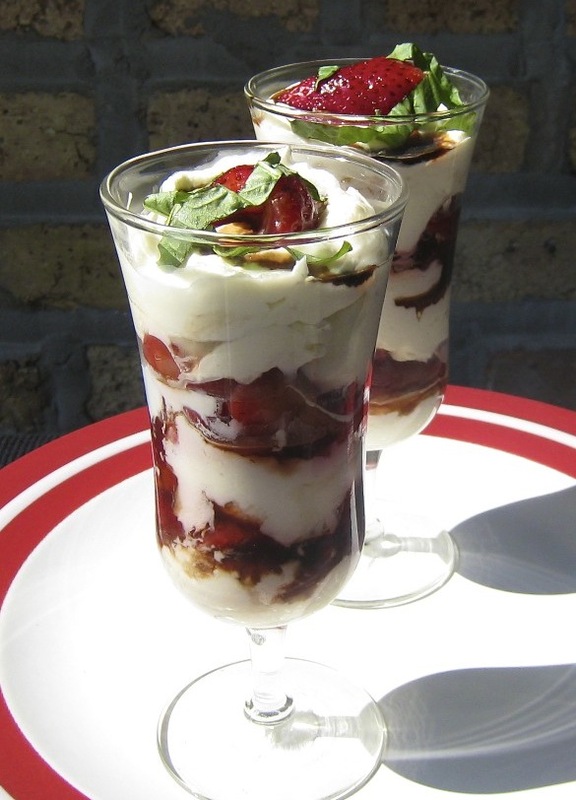 So, what can you do with all of that homemade mascarpone in your refrigerator? Well, add a little confectioner’s sugar and heavy cream, whip it, and the result may be served with berries in a variety of ways or used as a luscious topping for your favorite dessert. 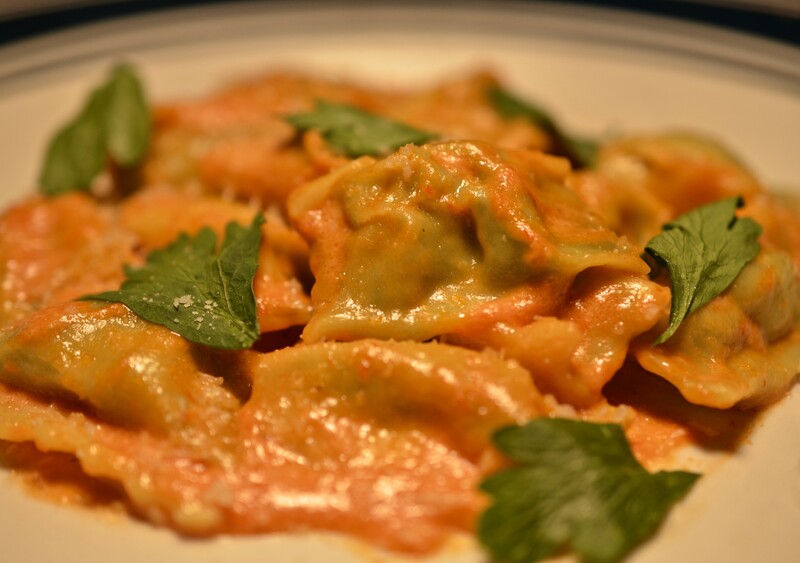 Use mascarpone as the creamy base for a number of delicious pasta dishes, perfect as primi or secondi piatti. Combine it with your favorite cheeses (cheddar, Monterey Jack, Asiago, etc.) 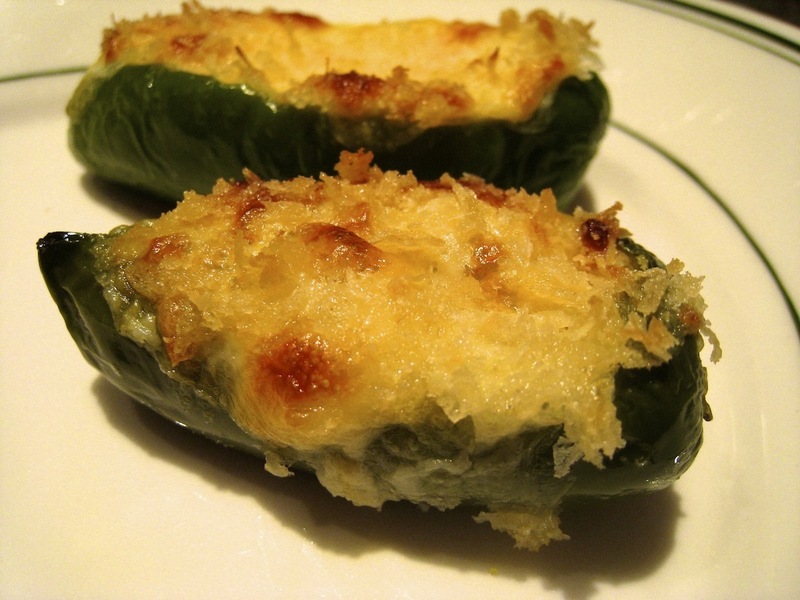 and use the mixture to stuff jalapeños to make poppers. And of course, use it to prepare tiramisu, the quintessential Italian dessert. Given mascarpone’s creamy texture and relatively mild flavor, the only limit to its uses is your own imagination. Before beginning, please refer to my Cheesy Stuff page. Chock full of cheesy details, it provides information about ingredients, cleaning/sterilizing equipment, spices & seasonings, a few tips, and sources for supplies and information. Place the cream and half-and-half into a clean, sterile pot with a lid and heat over low to med-low heat until it reaches 185˚. Stir frequently to prevent cream from scorching on the pot’s bottom. A double-boiler works fine, too. Add lemon juice and stir until thoroughly combined. Cover and maintain 185˚ temperature for 5 minutes, stirring occasionally. Mixture should show signs of thickening. Remove from heat and place covered pot into the refrigerator overnight. The next morning, the mixture should have thickened more and you should see traces of the whey beginning to separate from the curds. .
Cover a large strainer with a clean, sterile handkerchief. Gently pour the curds into the handkerchief. Grab the handkerchief’s 4 corners, tie them, and use them to hang like a sack over the sink or a large pot. If your kitchen is exceptionally warm or if it has drained a few hours and still not to your liking, place everything into the fridge to drain. Drain until the mascarpone is the consistency you prefer. To hurry the process, carefully twist the “sack” to force the whey out of the cheese. Place cheese into container(s) and refrigerate. The mascarpone will remain fresh for about 1 week but is best when used immediately. Unlike some of the other cheeses, you can use ultra-pasteurized dairy products to make mascarpone — but I would avoid them if possible. You’ll get the best tasting cheese if you use raw dairy but it is illegal to sell raw milk in many States, including Illinois. With raw dairy products off of the table, you’re left with pasteurized and ultra-pasteurized products. 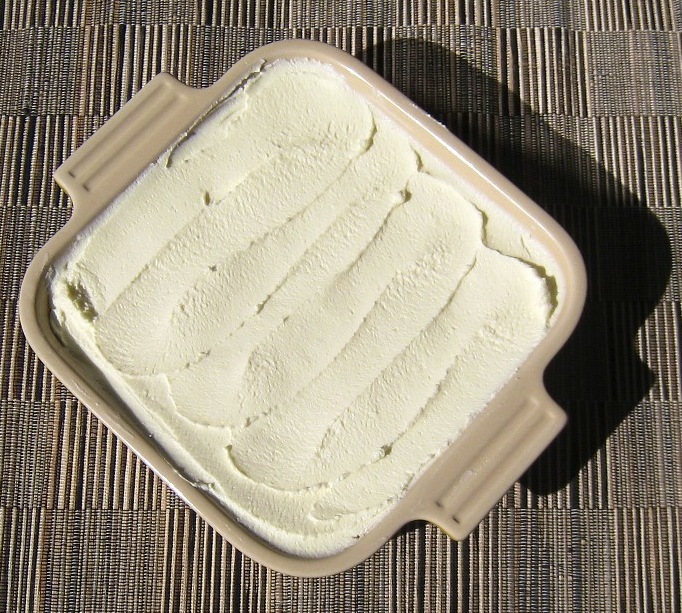 Although both processes negatively affect the mascarpone’s taste, it’s worse with ultra-pasteurization. So, I only use ultra-pasteurized products when I’ve no choice. Some sites and cheese recipes call for using tartaric acid instead of lemon juice to separate the curds from the whey when making mascarpone. This additive can be bought online and is available at a couple of the resources I’ve listed on my Cheesy Stuff page. I have never used it and am perfectly happy with the mascarpone that results from using lemon juice. 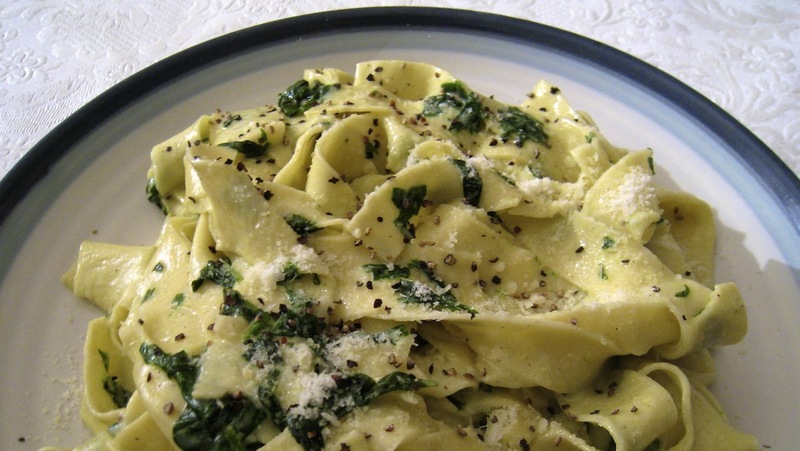 Here is the recipe for the Pappardelle with Spinach, Mascarpone and Pecorino Romano Cheeses dish pictured above. Recipes for the remaining pictured dishes, as well as Aunt Lil’s tiramisu, are forthcoming. Feta cheese is next in this cheesy series. Inspired by the Fankhauser Making Mascarpone At Home webpage. This is my 3rd, cheese-related post of the series. Unlike its predecessors, unlike almost all of my prior blog entries, there is no side story, no anecdote, to tell. 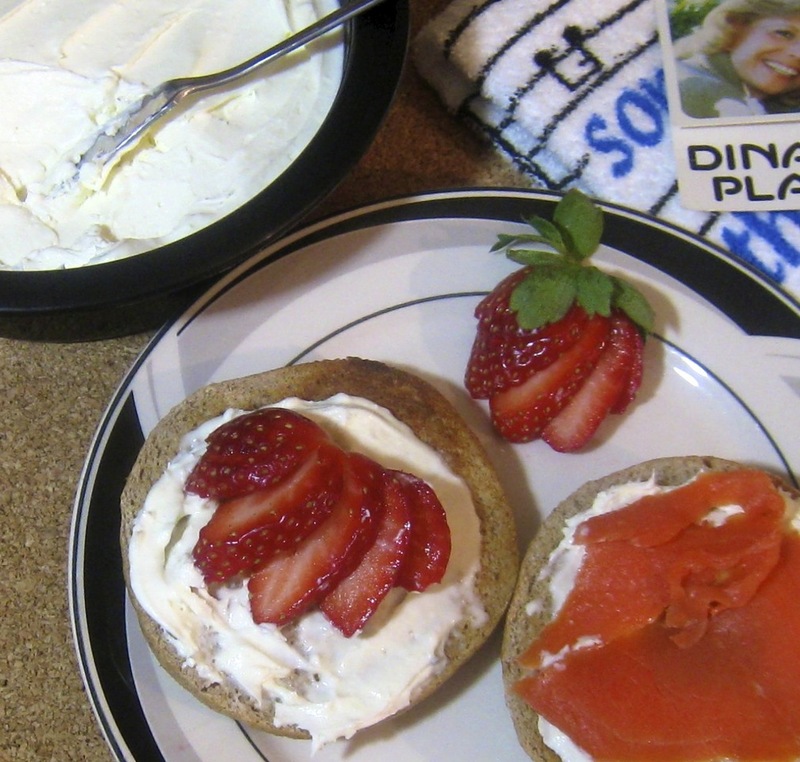 Yes, Mom sometimes served us cream cheese but don’t all Moms do the same? Although it’s true I’ve made this cream cheese for Zia, it’s hard to build a story around her saying, “I like it.” Looking beyond the 2 Bartolini Girls, there just aren’t any cream cheese yarns to report coming from the old two-flat. Moving more to the Present, in all of my sleepless nights, cream cheese never played even the smallest of bit parts. 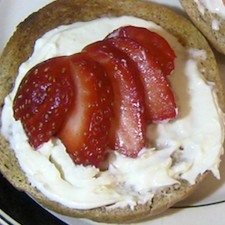 To be honest, I don’t even recall a single instance where I snacked on cream cheese in the wee hours of the morning. Most shockingly — and, for once, disappointingly — Max has never done anything to disrupt or despoil my cream cheese operation nor its end-product. And Lucy doesn’t speak cheese, so, she is of no help whatsoever. As a result, I’ve got nothing. Nada. Butkis. So, then, how did I come to make cream cheese? One day about 2 year ago, while looking at the Fankenhauser Cheese Page, I clicked on the words Cream Cheese. 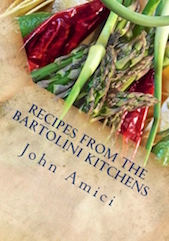 Within days, the Bartolini kitchens were making cream cheese. Hardly the quaint tale of a bygone time that you’ve come to expect, now is it? So, with no story to tell, I’ll get right to the business at hand. The ingredient list mentions that salt is optional but strongly recommended. I would definitely add salt should you decide to make this cheese. Not only will it prolong the cheese’s shelf-life, but it tastes so much better. Believe me, a salt-free cream cheese is one, extremely bland cheese. Beyond the salt issue, there’s but one thing more worthy of mentioning. While I was away, guest hosting for Jed at sports-glutton.com, I happened upon his post dedicated to the fine art of making NYC-style bagels. 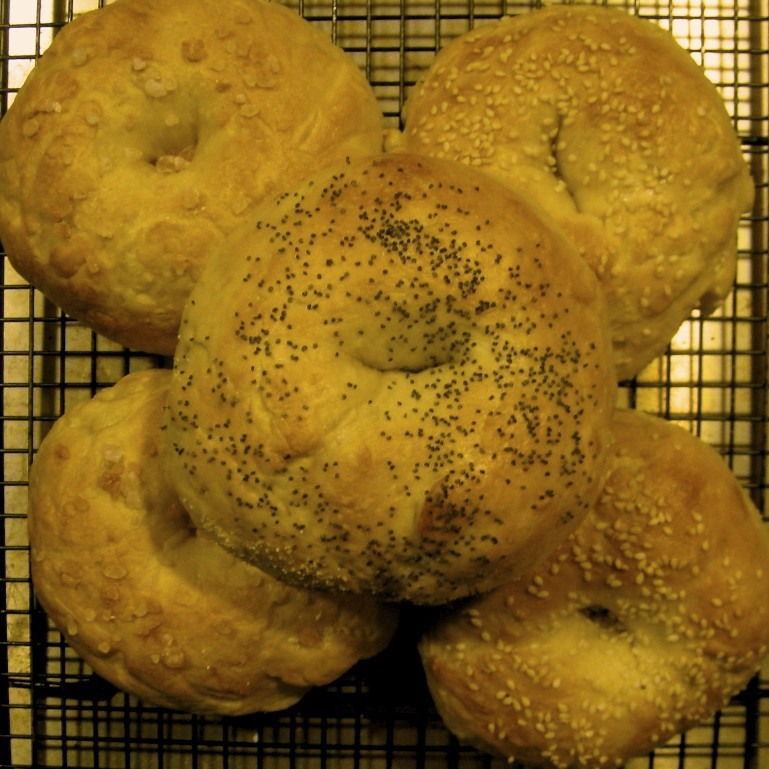 Thanks to Jed and that post, the Bartolini kitchens actually baked all the bagels pictured within this post. By the way, home-made mascarpone is next on the cheesy schedule and, like today, I’ve got nothing. Place the milk and cream into a clean, sterile pot with a lid and heat over low to med-low heat until it reaches 70˚ . Stir frequently. Add buttermilk, mix thoroughly, cover, and set aside for 15 minutes. 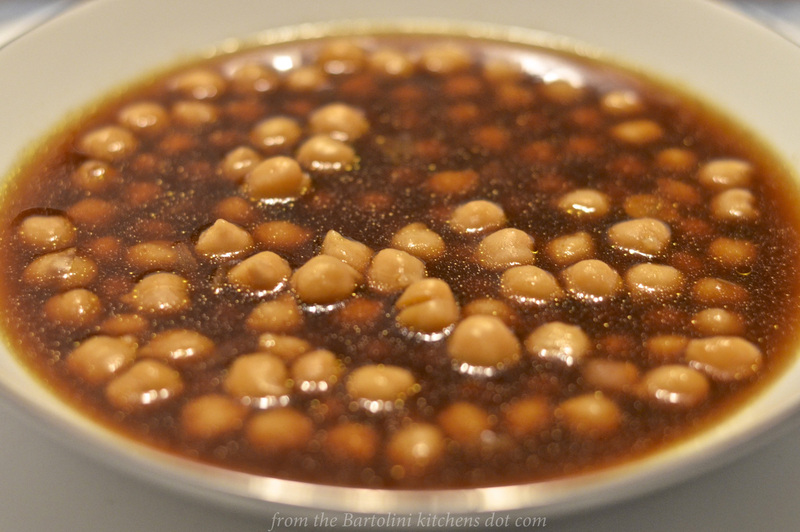 Add rennet, stir, set aside for at least 8 hours, or overnight, at a room temperature from 70 to 75˚. If properly prepared, the mixture should have gelled after waiting the specified time. Sprinkle the salt over the top of the gelled mixture. Briefly use a whisk to gently stir the mixture, creating pea-sized curds. Gently pour the curds into the handkerchief and let drain for 30 minutes. Grab the handkerchief’s 4 corners, tie them, and use them to hang like a sack over the sink or a large pot. If your kitchen is exceptionally warm, place everything into the fridge to drain. Drain until the cream cheese is the consistency you prefer. To hurry the process, carefully twist the “sack” to force the whey out of the cheese. Place cheese into container(s) and refrigerate. 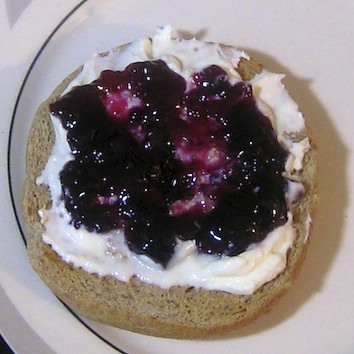 The cream cheese will remain fresh for about 1 week, less if unsalted. Because of its relatively short shelf-life, I rarely mix other ingredients into my cream cheese unless it will be used up entirely within a day. To do otherwise, I feel, opens the door to contaminating the cheese because of a slightly over-ripe berry or piece of fruit. I’ve tried cooking with this cream cheese and it “broke,” liquified, both times. I have used it successfully, however, in a variety of refrigerated cheesecakes and spreads. the Fankhauser Making Cream Cheese webpage.